I’m Kelly Ross Kerr — marketing strategist, author, and creative overachiever. My goal: to help you and your business streamline and perfect your marketing efforts and business development, in order to make more money and grow your business. 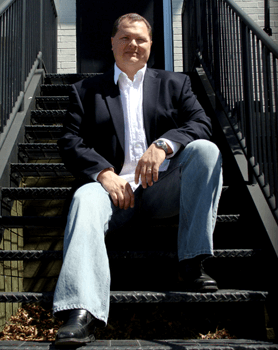 I have over 18 years of experience as a marketing professional and digital media producer. My clients have included Paul McCartney, Queen, The Pet Shop Boys, Parlophone Records, A.G. Edwards, AmerenUE, Budweiser, Haxan Films (The Blair Witch Project), Motorola, MTV, Dale Carnegie, the U.S. Men’s Olympic Bobsled Team, and many more. I am a 4 time Telly Award Winner and have over 20 years experience in Television and Radio Production with credits including; director, producer, and camera operator for live broadcasts on CNN, Fox News, NBC, ABC, CBS, PBS, and local television stations. In 2005, I was awarded Professional Member of the Year by the National Broadcasting Society and in 2017 was named one of the Top 50 in Business for Streetscape Magazine’s Beyond the Best Awards. As a creative over-achiever, I love what I do, and I love helping my clients harness the power of creativity and solid marketing strategies to build a successful and transformational business. 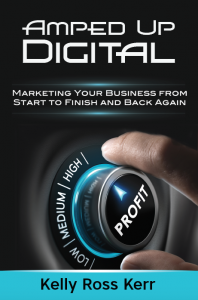 Amped Up Digital, Marketing Your Business From Start to Finish and Back Again is aimed at helping business owners and entrepreneurs create a solid marketing strategy for their business and help them understand the ins and outs of marketing in today's digital world. Click here to order a hard copy, ebook version, or audiobook version through Amazon or Audible. Author of "Whale Hunting: How to Land Big Sales and Transform Your Company" and owner of Hunt Big Sales. "I just finished your book. Loved it! Love how you explain in detail the options out there and have the exercises to make us create a ‘road map’ for our own business. I really enjoyed it and gets me motivated to be more organized with my marketing/social media plan.